While I was looking for my raspberry accessories, suddenly I found 8 channel relay module for only Rp. 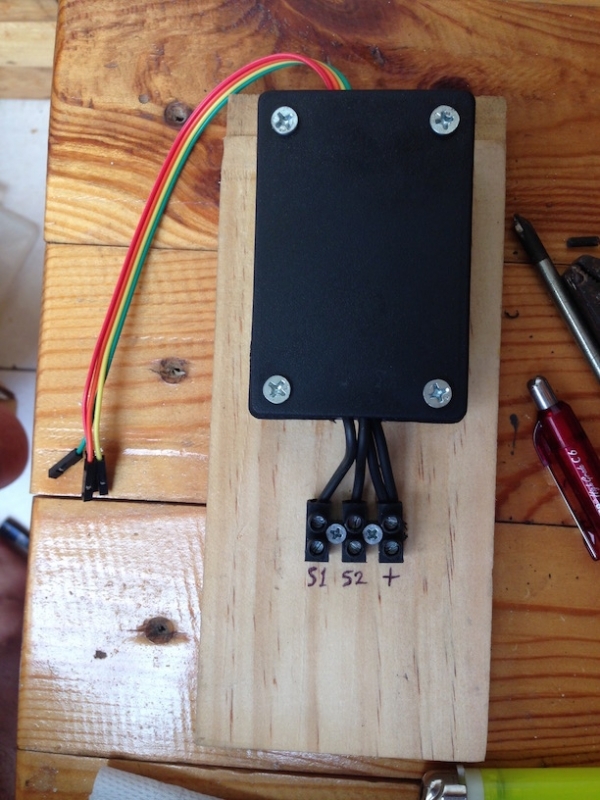 53.000, it is very cheap and I decide to buy it and start playing with this module. With this relay module i can control any kind of high voltage switch (220v) in my house from my mobile phone, but we have to very careful if we are playing with high voltage, it can cause very bad injury or even death. For the first thing I want to do is to control the bedroom lamp and the night lamp, so when I go to sleep, I don’t need to get up from bed to turn off the bedroom lamp and turn on the night lamp, just touching my mobile phone or even I can make a schedule for this. 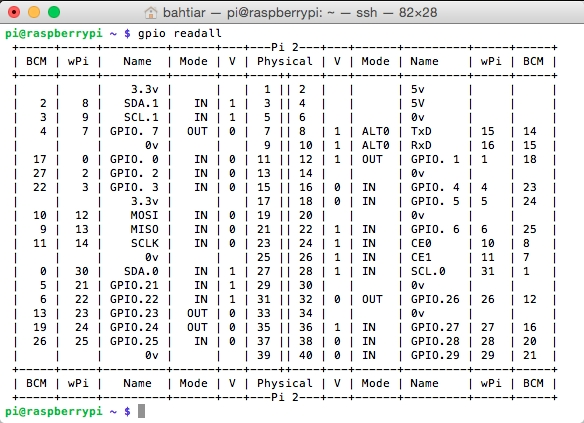 if command not found, you need to install wiringPi library created by Gordon Henderson so that you can use simple command line to access raspberry gpio. Above relay module for 2 switches. 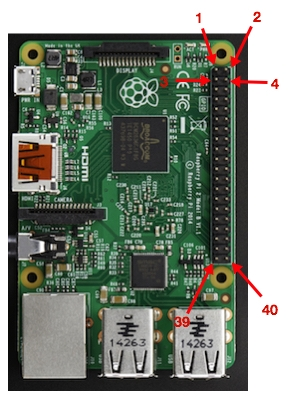 This is raspberry physical pin number from 1 to 40. 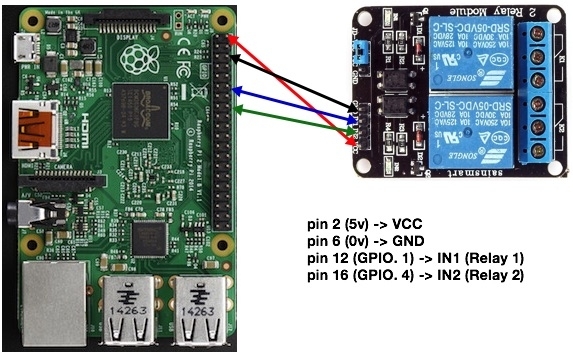 It will show you detail information about what each pin for, pin mode, pin status, or map between physical pin and wiring pi that you will use in the command later. For this relay, I use pin number with name contain GPIO. 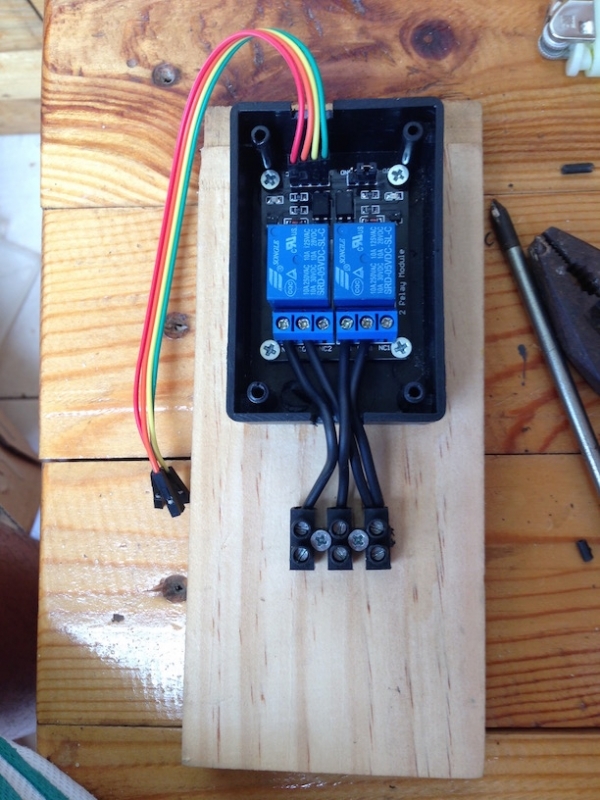 Raspberry Pi and Relay Module Wiring. 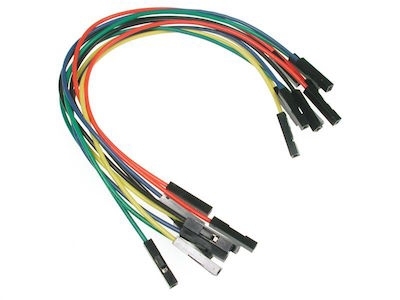 If you already know which physical pin number you will use, start to connect your raspberry pi and relay module use jumper wires. - Pin 2 (5v) connect to Relay Module VCC Pin because this module needs 5volt power. - Pin 6 (0v) connect to Relay Module GND Pin. - Pin 12 (GPIO. 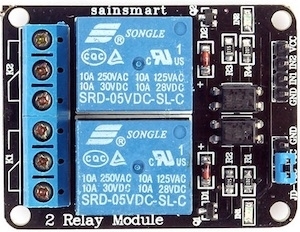 1) connect to Relay Module IN1 for Switch 1. - Pin 16 (GPIO. 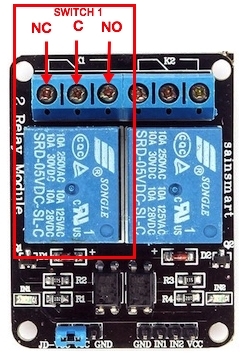 4) connect to Relay Module IN2 for Switch 2. High Voltage Power connected to this port. When the relay not active or default state, this port will always connected to C port. When active and we trigger the relay it will not connected to C depend on what state we give to the relay. This port is opposite of the NC Port. When the relay not active or default state, this will not connected to C port. When active and we trigger the relay it will connected to C depend on what state we give to the relay. 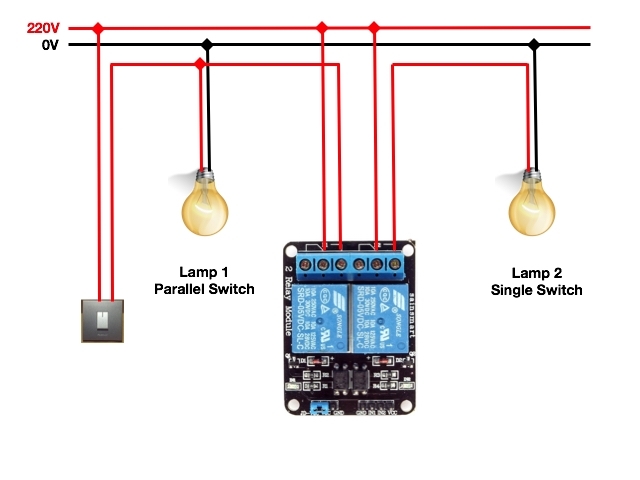 Before you connect your relay module to the lamp, will better if you test it first. After you discover the wPi Number and then use below command to changing the gpio mode “in” or “out”. For this relay module we will use “out” mode. After changing the gpio mode, we will change the value to 1 (HIGH) or 0 (LOW). Because this relay is HIGH state Type, so when we give HIGH state to the relay it will turn off and it will turn on when in LOW State. There is LED Light for each switch in the relay board. LED Light will On when connected to NO Port and LED Light will Off when the opposite. 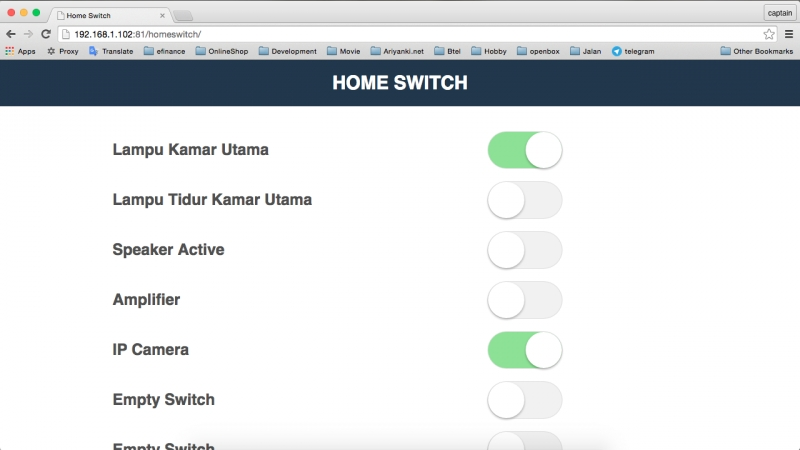 It will be better if you use parallel switch schema, so when suddenly your relay module not working, you still can use your manual switch to turn On your lamp. 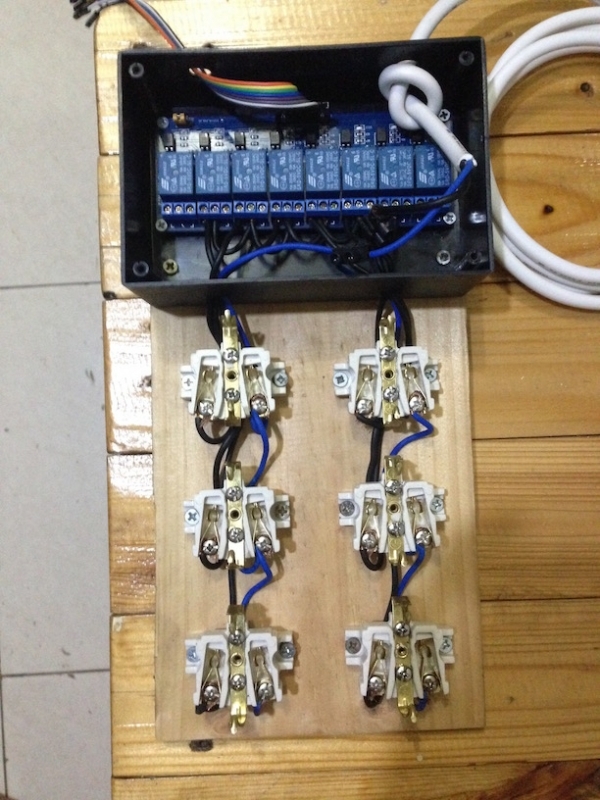 2 channel relay module use for controlling bedroom lamp and night lamp. 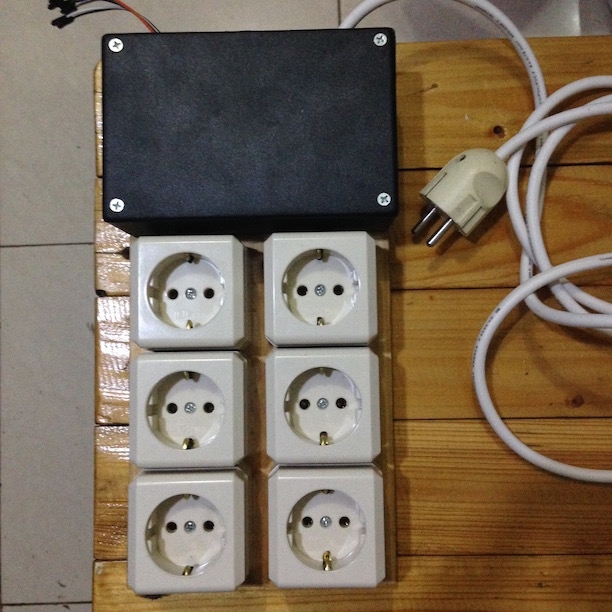 8 channel relay module use for controlling 6 outlet power strips, I use this for sound system power in my room. 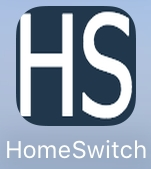 If you want to make a mobile application so that you don’t hove to open browser and type the url of your web application, you just simply need to make mobile app use Web View Client and point the url to your web application. You have to make configuration screen so that if you change your web application url, you just need to change the url from this screen. That’s it, very nice to share, I hope this will help us and make our life easier.